Well, I’m going to show you one specific way that Chris Rock writes his stand-up comedy material. I’ll tell you what brought me to this. As you might know, I have a YouTube channel where I post a lot of videos based on questions the comedy-curious send me on Twitter. 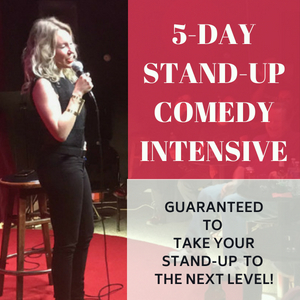 I get great questions from comedians at all levels, beginners to professionals, because, let’s face it, we’re always learning! 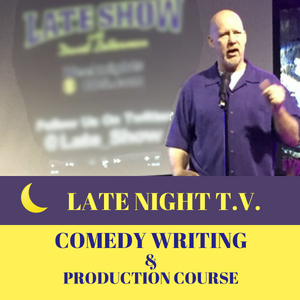 This particular video addresses a comment I received on my YouTube Channel regarding a comedy writing tutorial I put online. I demonstrated how to write jokes using incongruity by utilizing the listing technique. Now, don’t get me wrong I appreciate the skeptics. I used to say I respect them, but it’s hard to respect someone that simply defaults to negativity and commits themselves to a fact when all the evidence to the contrary is right before their very eyes. And if they just took a little time to research the field they are in, they could find the truth. But sometimes people need a little more than just somebody like me telling them they’re wrong. They need examples from someone with a LOT more credentials and fame than I have. 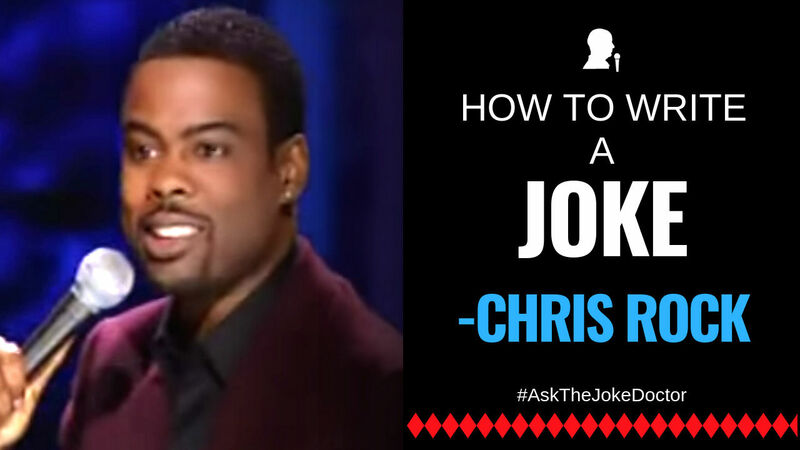 So that’s why I put together this video where I deconstruct a bit that Chris Rock does. Then, as a bonus I demonstrate that if you actually go deep with the lists you can write like 20 more jokes on just one premise. To really put a nail in the coffin of the skeptic, I include a downloadable PDF worksheet so that YOU can print it out and do some writing yourself on the same premise. It’s great practice. And you’ll have a ton of fun doing it. So watch the video. And while you’re there don’t forget to leave a comment, subscribe, like and share! I hope you enjoy it… and as always, leave a comment, and if you like the content, consider subscribing to the channel. When I first started doing comedy, I used to do these shows during breaks in between sets of my friend’s band when they performed in nightclubs around Los Angeles. They approached the stage and stood like four feet from the stage and started heckling me. When one of them ran out of breath, one of the other ones took over. It was like being verbally gang banged by hecklers. After that miserable set I went to the bar and thought about getting drunk, but then I realized that I had audio recorded that entire experience. I record every set. Mini-tape recorders, digital recorders or the voice memo app on my iPhone is the technological equivalent of an airplane’s black box. It records every event that leads up to a crash. I took that recorder home, listened to to each line those assholes said to me and I wrote comebacks for every single one of them. That was totally empowering. It was a true-to-life example of taking a negative experience and turning into a positive one. During the nearly 30 years of doing stand-up I’ve learned a lot about hecklers and most of the stuff I learned is counter-intuitive to most of the stuff we hear from other comedians. One thing I have learned is that preparation is essential. Having an arsenal of response lines called “comebacks,” will help you overcome your fear of hecklers. Some comedians insist that you don’t need to prepare for hecklers. But then you have to ask yourself why the number one joke type stolen from comedians is heckler comebacks?! How do you Prepare for a Heckler? Dealing with hecklers is not something that comedians get enough practice with. Heckling doesn’t usually happen often enough for us to have enough time to get any reps in. Think about it. 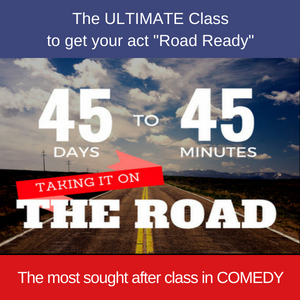 You can spend hours honing and rehearsing five minutes of material, then you get up on stage in front of an audience and you rehearse and hone that five minutes. There’s usually no heckles. Once in a while a heckler shows up. A heckle is a blip in the overall stand-up experience. So literally what time do we have to work on hecklers? Very little, but that doesn’t mean that we shouldn’t get the practice in. 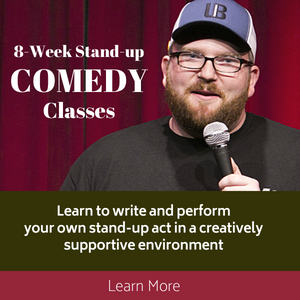 Your overall practice for a heckler comes with the practice you put in writing your jokes. If you have a good grasp on how to craft a joke from scratch on any given topic, you’re already ahead of the game when it comes time to deal with a heckler. Think about it this way: a heckle response is a comeback to something someone says in the audience. Usually that something comes from somebody who’s trying to somehow disrupt your show. 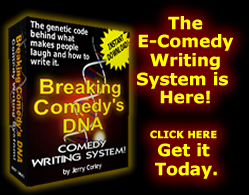 As a comedian, your writing is usually a cynical comment on a fact, statement or announcement, incident or situation. So if you’ve been practicing your writing, you’re going to be more prepared to respond to a heckler. The first skill you must acquire when dealing with a heckler is what I like to call active listening. That means really listening to every word the heckler says. When hecklers speak they usually give you enough fodder to develop a quick incongruity response to a joke, a paired phrase response to a joke or a wordplay response to a joke. But it’s not only limited to those comedic comebacks. Hecklers comments are like any line you might write a joke on. There’s endless possibilities, but when you just give yourself a few structures to work with it makes faster with your comebacks. The good news is that the tension is so high in the room when there’s a heckle, that the audience will usually give you accolades for coming up with anything that makes sense in response. There are two basic types of Heckle Comebacks. Those are standard lines they are there in case the moment doesn’t provide me with enough fodder to respond to the comedian effectively in an ad-lib situation. The fun part is keeping it playful. Usually after I would say this line and do the tag, the heckler behaves. The Ad-Lib Comebacks are lines that a comedian uses that are direct responses to what a heckler has said. It could be prompted or unprompted by the comedian. It’s not even a put down. It’s just a comeback. But it diffused the moment and as silly and innocuous as that was for a comeback, the audience not only laughed, they applauded. The audience laughed at the simple coincidence that Howie came up with something that related to the subject of “carpenter.” In addition, the added coincidence that Howie’s response was a song that was relatable and familiar and it fit with the subject matter. Audience’s will not only laugh at the coincidence that those two ideas fit with each other, they laugh because the tension is high and they are craving a release point. 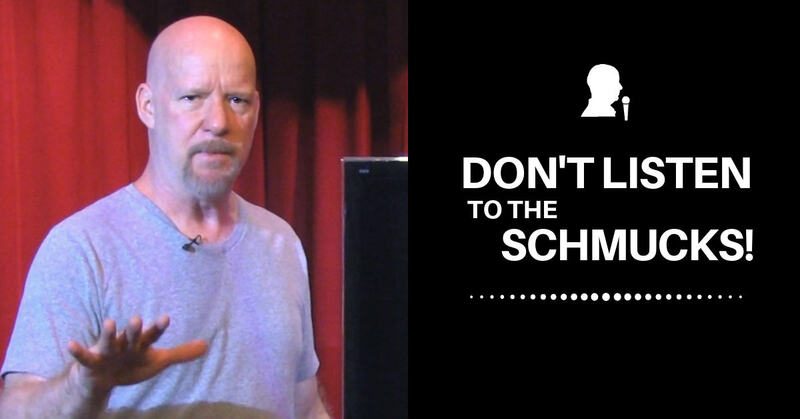 This technique by Howie Mandel is used quite often when the heckler is not providing any fodder. When the heckler says what they do for a living, the comedian now has something to work with. At that point the comedian can choose to go on the attack or be playful. I prefer the comeback that keeps the show playful. In my experience being playful is much more effective at quieting the comedian for the rest of the show than going on the attack. There’s a misunderstood psychology behind the heckler that most comedians don’t bother to understand. It’s a subject that’s beyond the scope of this post, but I will address it in another one soon. 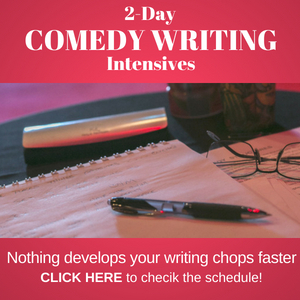 I also cover it in a half-day Heckle & Comeback Workshop that I do. I think club owners and audiences expect more from a comedian these days. There are times you can carry something too far. If you corner someone and don’t give them anywhere to go and it’s not comedic, you’re doing yourself, your act, the audience and the club a disservice. If it turns into a fight, you’ve killed the night and probably your chance of getting asked back to that club. I’ve shredded someone to the point that I had a beer bottle thrown at my head. I’ve humiliated someone to the point where they went out to their truck and got a gun. I’ve burned a heckler to the point where a group of KKK put a brick through the rear window of my car and I’ve throttled a group to where I got cracked in the jaw by a couple of dudes after the show. I’ve since learned ways to be prepared and keep it fun, while still being edgy. There’s a way to diffuse, deflect & pivot so that you can still “WIN,” while still keeping the show moving and not have a fight or get a bottle thrown at your head. 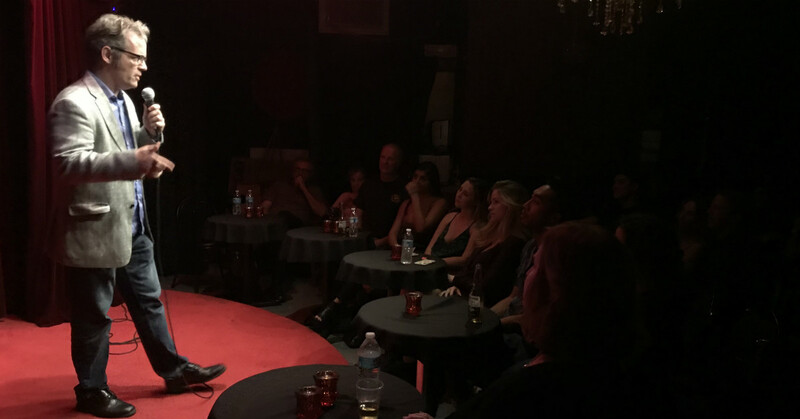 Preparation is key but understanding the intrinsic nature of the heckler and the audience empowers you to be in charge of whether the night is a night of funny or a night at a bar fight. There’s more to come on this subject of hecklers, so keep an eye out for my next post on the heckler. 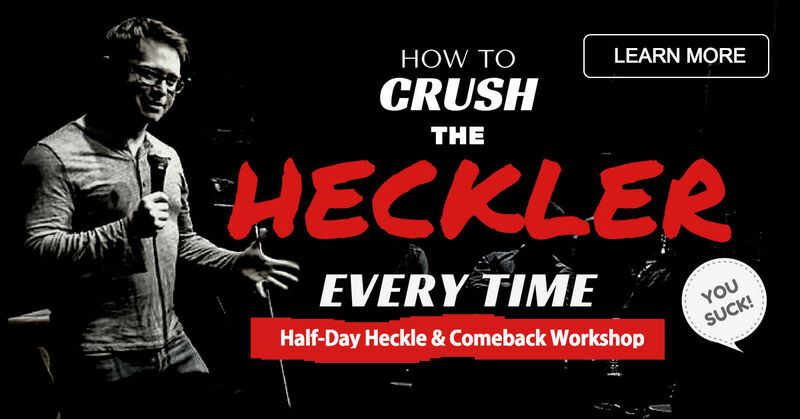 In the meantime, check out my Heckle & Comeback Workshop and learn some secrets to crushing the heckler every time. “Email Whitelisting” is used to describe the act of allowing an email to reach your inbox. This is helpful if you want to make sure a certain business’ email doesn’t go to your spam folder. 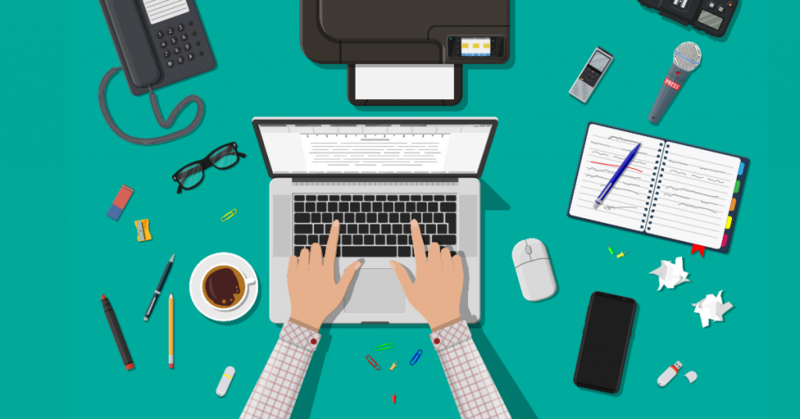 Whitelisting is typically accomplished by adding the sender to your contact list in your email client. In this article, I’ll give you step-by-step instructions that show how to whitelist a sender. Below you’ll find step-by-step instructions to whitelist a sender in common email clients and providers.